From extraordinary mountain vistas to otherworldly geological wonders, Colorado overflows with sights begging to be captured by modest little point-and-shoots and fancy digital SLRs alike. Read on to learn about some of our state’s most photogenic sights and how to snap the perfect shot. 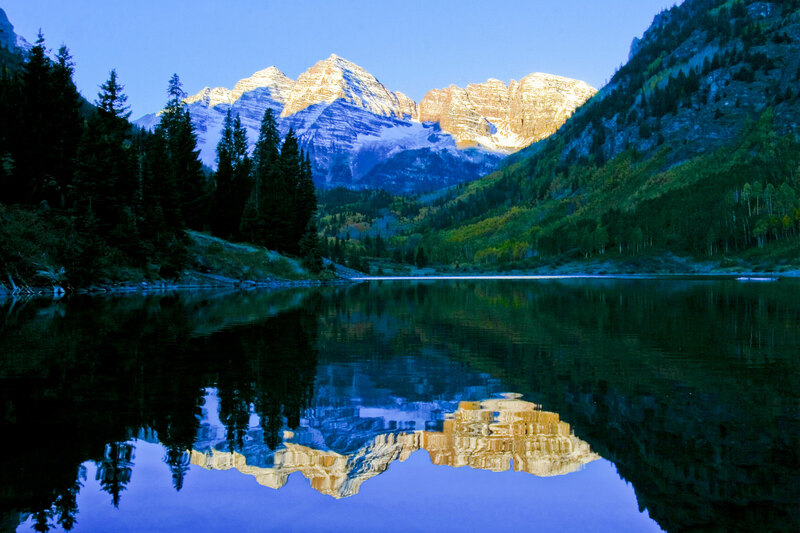 Google “Colorado” and a photo of the Maroon Bells will likely be the first landscape photo in your search results. These dazzling pyramidal slabs — with their distinctive, horizontal striations and a location at the edge of a glacial valley and mirror-like Maroon Lake — are the most photographed mountains in North America. If photography is a study of light and dark, then perhaps no geological feature is a better subject than sand dunes. Soft ridges form an abstract yin-and-yang effect, as dark meets light in fluid, ever-shifting patterns. 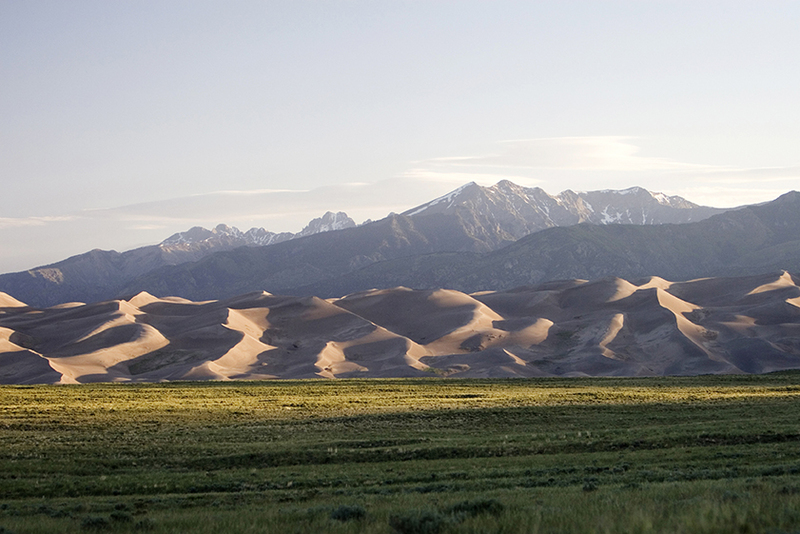 At Great Sand Dunes National Park and Preserve, a backdrop of blue Colorado skies and snow-dusted saw-tooth peaks means you’ll easily spend hours capturing all the different frame-worthy possibilities. Ochre sandstone spires form an otherworldly setting in this natural rock garden at the foot of majestic Pikes Peak. The geologic formations give off a warm glow, especially at sunrise and sunset — when photographers of all talents are compelled to snap away in hopes of translating this strange beauty through the lens. 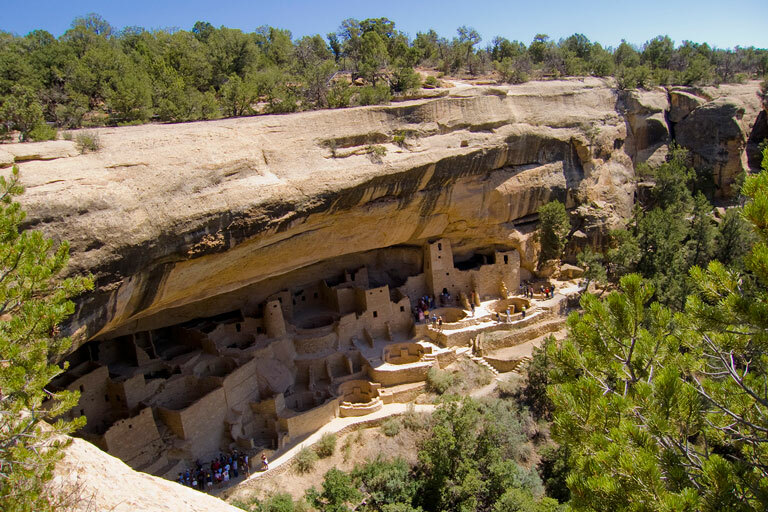 Send your imagination on a trip back in time to the ancient cities of the Ancestral Puebloans, who inhabited Mesa Verde from A.D. 600 to 1300 in hundreds of cliff dwellings carved into rock walls. You’ll want to capture it all: Shafts of sunlight filtering into deep kivas (round ceremonial rooms set down into the earth). Dark, rectangular windows contrasting against the ancient, red sandstone masonry. And overhanging rock walls streaked with washes of black, green, yellow and red. Post a few pics of Hanging Lake to your Facebook page and watch the number of “likes” soar. This almost supernaturally teal-green lake appears to cling to the edge of a mountainside and is surrounded by moss-covered rocks and a meandering trail. Wisps of water cascade quietly off a cliff into the lake’s still depths, adding to an already surreal atmosphere. Tips to Get the Shot: The lake is accessible only via a mile-long hiking trail that is somewhat rigorous in spots. After May 1, 2019 you will need a reservation to hike. But once you’re there, there are countless angles from which to shoot the photogenic waterfalls, lake and greenery. More advanced photogs may want to bring a polarizing filter to help reduce glare and fully capture the lake’s crystalline qualities. Carved over a period of millions of years, this 2,000-foot-deep crevasse is aptly named for the dark shadows that fill its depths. But that doesn’t mean there aren’t ample photographic opportunities within this under-the-radar national treasure. Massive Precambrian rock walls are marbled with colorful rock veins, and wind-warped pines make the perfect foreground. Tips to Get the Shot: The Painted Wall View and Chasm View overlooks are two of the most dramatic spots in the park. But it’s worth going off the beaten path — and for true adventurers, trekking to the bottom of the canyon — to glimpse an uncommon perspective. If you and your camera are craving some quintessential mountain village charm, then Telluride’s historic downtown is just the place to focus your crosshairs. Colorful, brick Victorian buildings line Colorado Avenue, while dramatic mountains seem close enough to touch. Bridal Veil Falls makes a lacy white trail down the side of one of those emerald green peaks for the ultimate picture-perfect clincher. The Dallas Divide, a high mountain pass that forms a saddle between the San Juan Mountains and the Uncompahgre Plateau, is pure, unaltered and classic Colorado alpine landscape. Taking Hwy. 62 from Ridgway, you’ll get an amazing view of Mount Sneffels and the expansive Sneffels Wilderness Area. The route eventually connects with Hwy. 145 and Lizard Head Pass, which offers views of Wilson Peak, the very mountain that inspired the iconic Coors logo. Out on the eastern prairie, vibrant green shortgrass sways in the wind as far as the eye can see. The only interruption in the endless, flat horizon is two 300-foot-high mesas, visible from miles around. These “two sentinels of the plains,” as dubbed by James Michener, are the only companions of the remote area’s pronghorn, coyotes, kit foxes, hawks and falcons. Check out our list of Colorado destinations to capture with your camera in the wintertime and read 99 Gorgeous Places in Colorado: Part 1, The Postcard Places; Part 2, Local Favorites and Part 3: Hidden Gems.